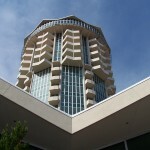 When it opened to great acclaim in 1964, the 20-story, decagonal-shaped Founders Tower was heralded as one of the best examples of modern architecture in the state, with businesses such as Rainbow Travel, Johnny Dottie’s Grooming Shop for Men, Queen Anne Cafeteria, and the San Souci Salon clamoring to rent space. 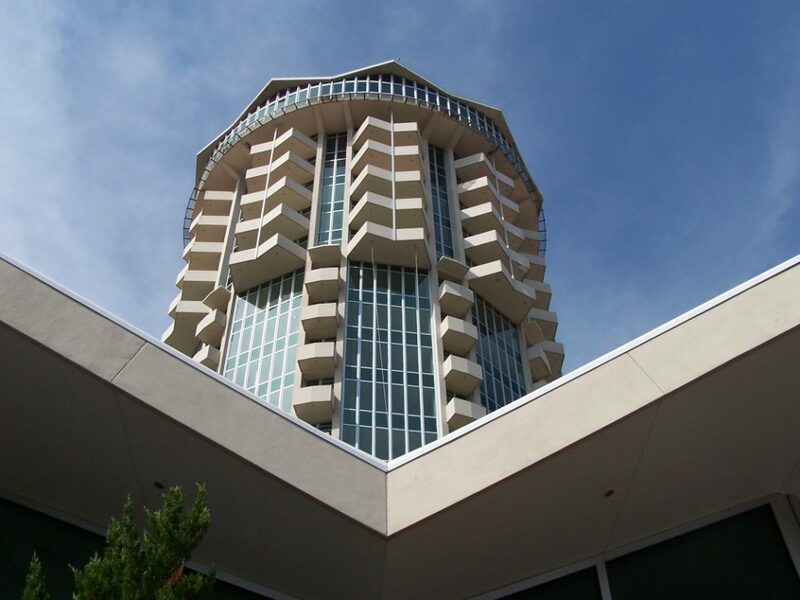 To take full advantage of its location on one of the highest points in town, architects Hudgins, Thompson & Ball designed the top two floors, which became an exclusive restaurant and club called the Chandelle, to rotate one revolution an hour, giving diners a 360 degree view of the city. 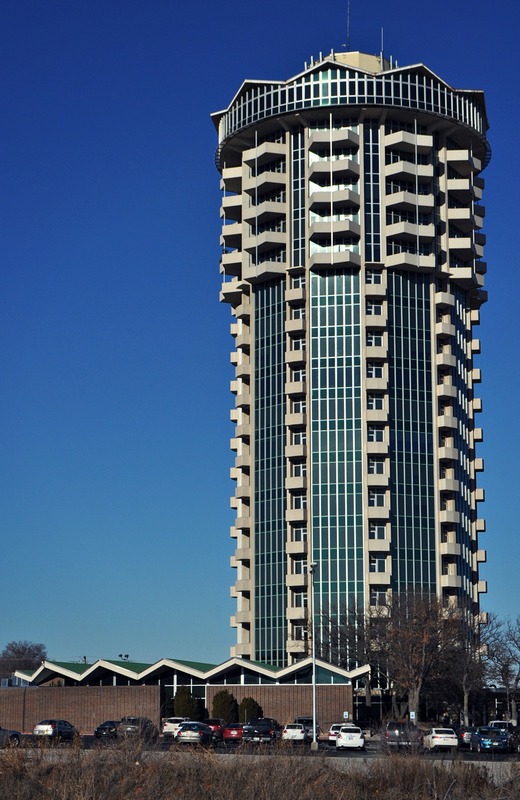 Over 45 years, several owners, and a condo conversion later, Founders Tower remains an eye catching sight along NW Expressway. For more history about this distinctive OKC icon, go to here. 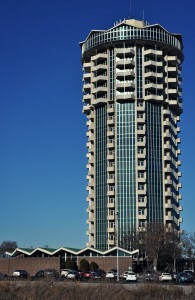 To learn more about Hudgins, Thompson & Ball, go here. Read more about the Founders District here.